Looking for a retreat or conference to enrich or rekindle your faith journey? Or would your children like to go to a Catholic summer camp? Spiritual growth opportunities hosted by the diocese as well as regional and national organizations are available for both children and adults. Contact the parish office if financial assistance is needed. The camp is designed for children going into the 5th, 6th, 7th, 8th, and 9th grade following the camp season. For more information, visit http://dioscg.org/index.php/camp-re-new-all-2/. The Office of Youth Ministry of the Diocese of Springfield-Cape Girardeau sponsors a youth conference in the spring each year. Join Bishop Rice and youth from throughout the diocese for a faith, food, and fun. Talks and workshops are presented by priests, seminarians, and many well-known people from our diocese. Enjoy beautiful liturgies, including Adoration, and a Palm Sunday Mass (2018) with a full procession. The conference is for high school students. For more information, visit http://dioscg.org/index.php/about/youth-ministry/. “We live in a world where there are voices shouting at us from all sides, trying to tell us who we are and who we aren’t, who we should be and who we shouldn’t be. If we pay too much attention to these voices, it won’t be long before we forget our true identity altogether. The conference is for high school students. Springfield, Missouri hosts two of the conferences annually. For more information, visit https://steubenvilleconferences.com/youth/. 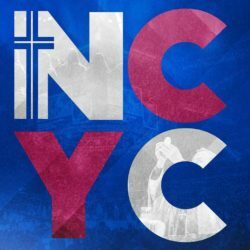 For more information, visit http://www.ncyc.info. “Christ Renews His Parish”, or CRHP, is an effective spiritual renewal process which calls together the members of the parish – priests, religious, laity – in order to experience personal conversion and Christian community in the parish environment. It is a two-day retreat experience that is designed to help participants gain a closer relationship with God and to strengthen their faith experience. It can truly be a life-changing weekend. Join us for the next men or women’s CRHP retreat, typically held in February. Look for more information in the bulletin toward the end of the year. “The Cursillo® Movement pursues two purposes or objectives. The immediate purpose is to provide a conduit for living what is fundamental for being a Christian, namely, the on-going and total conversion of the person. The end purpose is to vertebrae Christianity in society by means of these persons who live what is fundamental for being Christian (the love of God and neighbor) in their daily lives. Cursillo is a three-day weekend filled with prayer, worship, education, and opportunities that strengthen faith. But it does not end on Sunday night when the weekend concludes. The experience continues for the “Fourth Day,” providing an on-going journey of faith and apostolic action through regular small group meetings. For more information and upcoming dates, visit http://dioscg.org/index.php/cursillo2/. As a Total Stewardship Parish, we are always looking for new ideas of how to keep our parish thriving and engaged. Stewardship conferences provide an opportunity to learn from other parishes and dioceses. Contact the Stewardship Council Chair or the parish office if you are interested in attending a stewardship conference. 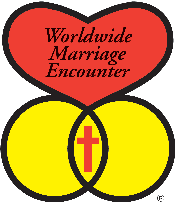 Worldwide Marriage Encounter is a weekend for married Christian couples who value their relationship and desire a richer, fuller life together. Attend a Marriage Encounter weekend and learn the tools needed to keep your marriage strong. The emphasis of Worldwide Marriage Encounter is on communication between husband and wife, who spend a weekend together away from the distractions and the tensions of everyday life, to concentrate on each other. Weekends are scheduled regularly in Kansas City and St. Louis. For more information and upcoming dates, visit http://www.wwme.org/ or https://stl-wwme.org/.